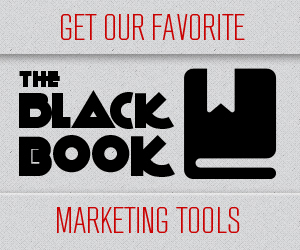 It’s that time of year again when Marketers Black Book takes to the streets and lets business owners inside its 3-day conference. It’s been a little while since posts were made on the website, but we’ve been hard at work developing new strategies. We’ve packed a ton of new content into our upcoming Internet Marketing for Beginners Live event on November 8th to 10th in Jacksonville. Go here to signup early and get the enrollment discount. Every business needs new customers to survive. There are loyal customers who likely support your business but you could use more. The purpose of our events is to pass along the hottest marketing information that we’ve tested and approved. The good thing about our conference is that the information is not found in other places online. The days of creating and maintaining a basic website are over. Google has upped the ante for all marketers. The tried and true search tricks that we were doing last year no longer work. There is a new game and it’s called beat Hummingbird. You might have already experienced a huge let down with your website due to Google’s latest venture into cleaning up search results. No only is our live event packed with business startup information, it’s also filled with plenty of ways to turn your website around. You can be great at running your business, but it’s likely that your efforts in marketing have failed or are failing. It’s a full-time job keeping up with all the changes. Our entire team will be at the November 8th to 11th event to present a ton of new information. There are a lot of new ways to get traffic to your website or other online presence. That’s part of what we’re going to show you when you signup for our event online. Every marketer has to have a plan. Every business owner and entrepreneur has to enable a plan and keep their businesses running. The 2013 marketing programs are now giving way to the concepts that will rule 2014. Getting your website rankings back or ranking your new website is going to be easier. You just need a great guide. Our entire 3-day event is for new and established business. We’ve grown more businesses with our training programs in the past 3 years than most high-dollar consultant companies. Take the time and check out our resource page. Our Internet Marketing for Beginners Live event is definitely a cannot miss event. Learning in person and learning while doing are two different things. We take you by the hand and turn your business around in just 3 days. If you couldn’t make it to the event last year, you can’t pass up the affordable event price we’ve set this year.